Sbarro announces the opening of its first restaurant in Romania by Franchisee Innovative Pizza Solution on October 14, 2017. This first site is located in Bucharest Mall. 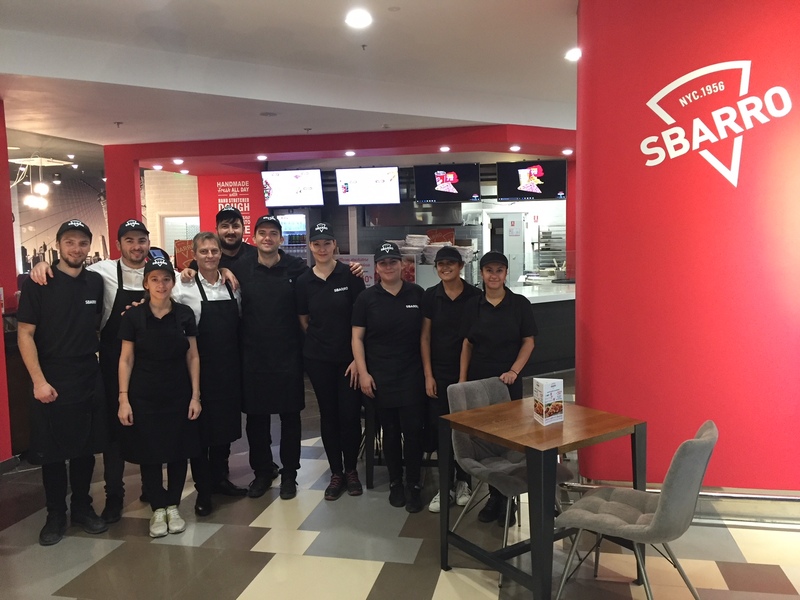 Famous for its high-quality products and innovative menu offerings, Sbarro will open two additional locations in Romania by the end of the year and a total of 20 in the next 10 years. Ultimately, Innovative Pizza Solution plans to open 30 restaurants across the Country. Pictured: L-R Bucharest opening team including George Barbu, Brand Manager, and Philipe Jore, Sbarro International Training. For Franchise interest visit our Franchising Web Page. Or visit us on social media at Facebook, on Twitter, or on Instagram.